At SR2 we believe that we can only call ourselves truly successful if we go beyond pure profit and look at how we treat our clients, our candidates and our staff. In fact it was entrepreneur and visionary Dale Partridge’s book People Over Profits that inspired our Managing Director Chris Sheard to set up the company in the first place. 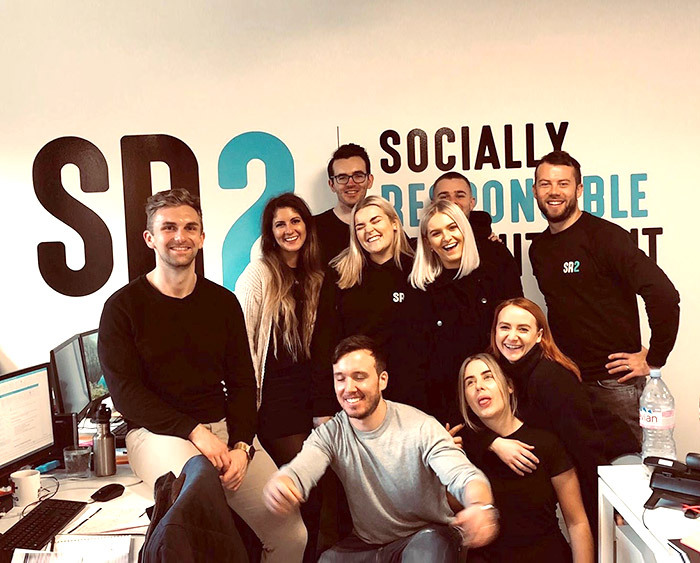 SR2 stands for Socially Responsible Recruitment, with a double bottom line that measures our contribution to society as well as our monthly turnover figures. We want to combine best practice in recruitment with customer service and integrity, honesty and transparency. Which is no easy task – but then we’re a pretty determined bunch of people. With 24 years’ experience in IT recruitment, working with companies of various sizes from start-up to multinational, Chris and the founding partners have a pretty comprehensive view of the industry. They also have a vision of a different way of doing things – one that is not only financially successful but socially responsible. For all of us here at SR2, it’s about getting that perfect balance. Sure, we like the good things in life. But we like making a positive impact on the people around us even more. And we believe it’s possible to do both. We will always give feedback whether it’s positive or negative. And we’ll always be polite too. Because that’s important. The world of IT recruitment is changing, and we’re leading the way. So join us.